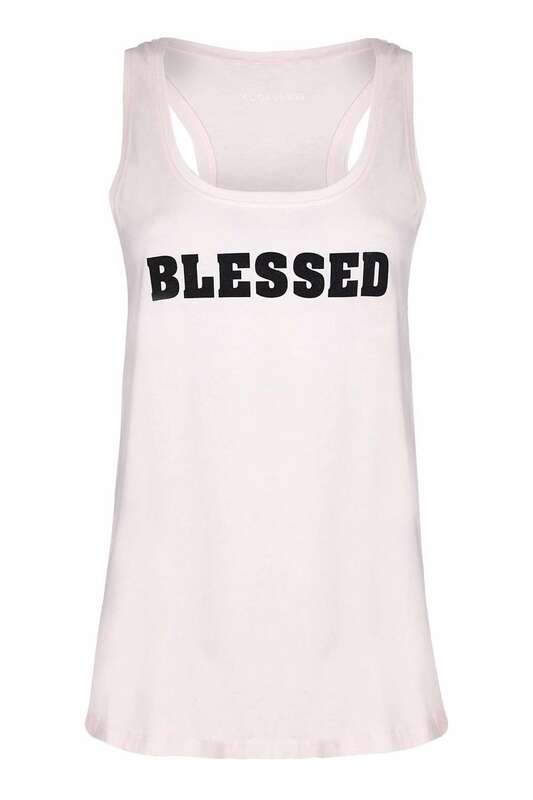 Yogaleggs limited edition pink and black Blessed slogan vest is a great reminder to count your blessings and practice an attitude of gratitude. Whilst we wear ours for yoga, you don’t have to! These are perfect teamed with yogaleggs for spin, barre, pilates, the gym or hanging around by the pool on holiday. Made from 100% organic cotton Yogaleggs Blessed racer vests are comfortable and a great addition to your summer wardrobe.